"….If you do not like him, why did you accept his friendship?’’ Chika’s friend asked her as they walked from school homeward. ‘‘I accepted because he bought me a Samsung smart phone," Chika replied. Exchanges like the one above appeared in many of the stories we collected during our 12-month ethnographic research in Nigeria about the tensions between adults and adolescent girls regarding ownership and use of mobile phones. A majority of adults in our study agreed that feature phones (cheap phones meant for calls and text messaging) are appropriate for early adolescents, and that smart phones were acceptable for late adolescents, but with conditions. In contrast, a majority of girls felt that restricted access to mobile phones is an infringement on their autonomy and their quest to join the global community. Especially in Christian neighborhoods, adolescent girls have found allies in their boyfriends who provided girls with smart phones. This has connected adolescent girls, their boyfriends, and girls’ parents in an unexpected web of duplicity, interdependence and contradictions. The intrigues that surround phone ownership and use by adolescent girls show how the mobile phone mediates how young people construct their identity, struggle for autonomy and their self-expression. It exemplifies how technology can create a new social culture. Smart phones, unlike feature phones, display symbolism which transcends economic or technological meaning. Apart from attracting prestige and the feeling of 'I have arrived,' they reveal emotional flows and connectedness. As we observed in our study, boyfriends’ purchase of smart phones for their girlfriends consolidated boyfriend-girlfriend relationships in a unique way. As seen in Chika’s story above, a girls’ acceptance of a phone means acceptance of a relationship. By purchasing a smart phone, a boy extends his influence and control over a girl. 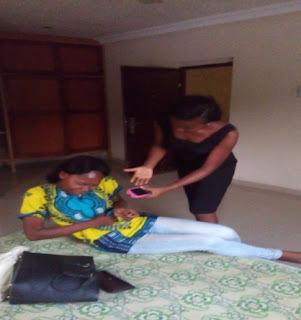 In another example, Edna, a 16-year-old student, returned a Techno mobile phone to her boyfriend after six weeks when she heard that he purchased another phone for another girl. Similarly, Arinze insisted that Sandra must return the phone he bought for her when they broke off their friendship. Phone ownership among adolescent girls and their boyfriends therefore represents a new form of creating visibility, attachment and identity. 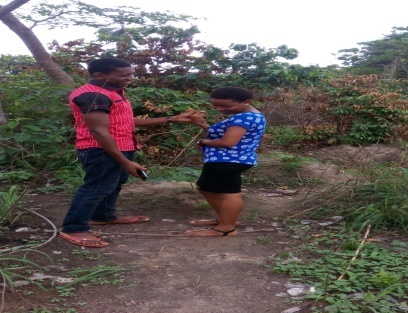 When Amaka, a 17-year-old caregiver, lost her phone, her worry was not about the phone but the strain that the loss would put on her relationship with her boyfriend Chidi, who could not afford to buy a new phone for her. For Amaka, accepting another guy’s gift of a phone entails shifting her allegiance away from Chidi. For boyfriends, providing a smart phone to a girl is a symbol of conquest over other potential intruders. A smart phone is a love trophy. Whose phone a girl accepts and also uses draws the boundary between those whose intimacy is desirable and those whose is not. The smart phone in the context of a boyfriend-girlfriend relationship is more than a technological innovation. Mobile phones acquire new meanings as they become embedded in relations of accountability, reciprocity and secrecy. “…As you know, we girls compare a lot when we meet one other. In the past, we discretely compared shoes, jewelry, hairstyles and handbags. Today, it is our mobile phone. I flaunt it [the phone] to intimidate other girls and make my boyfriend proud….”. Surprisingly, girls are not much interested in how the money is raised for acquiring the phone, or what lengths boyfriends go to in order to give phones to their girlfriends. Obinna, a 17-year-old student could not sit for his Senior School Certificate Examination because he used the money for his examination fee to buy a smart phone for his girlfriend who, incidentally, was his classmate. “…I did not want to lose her love to other men….” Obinna pleaded, in response to his parents and school authority’s queries about what happened to the money. Boyfriends do not take lightly the privileges conferred on them by purchasing smart phones for their girlfriends. They always check up on how the girls are using their phones. Adaobi, a 17-year-old hawker, fought with her boyfriend over access to the phone, refusing to tell him the new password and denying him access to it. Just like the phone that was smashed during their fight, so, too, was their friendship broken: “…Someone who did not bring money to repair the phone he bought earlier does not have the right to question what I do with the phone. He lost his privileges when another man gave me money to repair it, ”Adaobi retorted, as she justified her behavior. Smart phones purchased by boyfriends have therefore become instruments of accountability and availability, as Erin Kenny observed in her research with Tanzanian University students (2016). Boyfriends expect explanations of what their girls do with their mobile phone. “….Nothing worries my boyfriend like seeing ‘user busy’ when he calls me. He expects me to put all other calls on hold and answer him first. He also monitors how long I spend on calls and with whom…” a 17-year-old female university student in our study narrated during an interview. Buying smart phones for adolescent girls gives boyfriends a special place in the lives of their girls. It shifts accountability for a girl’s phone life away from her parents and on to her boyfriend. When Aisha Mammud, our female researcher asked 17-year-old Fatima how frequently her parent accesses her phone, her response was immediate: “…I will not let them touch my phone at all.” However Fatima allowed her boyfriend access to her password and he goes through her contacts and phone logs for monitoring purposes. A veteran pharmacist in one of the communities we studied insisted that her daughter must finish high school before she could use a smart phone. She was shocked to discover that her daughter was already using a smart phone for over six months - bought for her by her boyfriend. Just like other girls in our study, the daughter left her phone with her friend and sometimes hid it in the house. I had a similar experience of shock the day that I gave one thousand Naira (about $3) in airtime to three students in a Christian neighborhood, thinking that it was only one of them who owned a mobile phone. 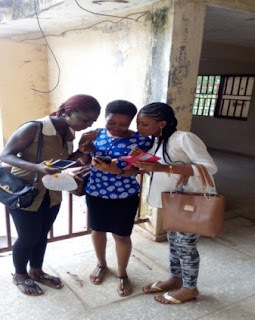 One of the students privately unzipped a section of her clothing to reveal a phone hidden in her underwear, while another ran towards her friend’s bag to pick up her phone that she had been hiding there. Sadiq, who purchased a feature phone for her daughter in order to prevent her from accepting a smart phone from a boyfriend, discovered that her daughter willfully damaged the feature phone in order to make room for a smart phone. The daughter changed the casing on the new smart phone her boyfriend bought for her to an old one and lied that it was a spoilt old phone she got from the outgoing school principal. In another case, a 52-year-old female teacher who insisted that her daughter should return the smart phone bought by her daughter’s boyfriend discovered nine months later that said phone had been hidden by her daughter and not returned after all. of the smart phone she was caught using. Finally, our study revealed that phone-related quarrels occur every 72 hours in homes where there are adolescent girls. Adults have reservations about adolescent girls’ use of smart phones. Many felt uncomfortable, threatened, even perplexed, while others are resigned to the fact of girls using smart phones. Adults shy away from the task of preparing adolescent girls for the responsibilities entailed in the digital revolution. Meanwhile, girls have not relented in a bid to outmaneuver adults and their roadblocks. Highly religious people feel more threatened by adolescent girls’ use of smart phones and as a result, create more roadblocks to uptake. However, Christian adolescent girls have more opportunities to acquire smart phones from boyfriends than do their Muslim counterparts. Yet tensions appear to be greater in Christian homes. Tensions are also higher among urban than among rural poor. The digital revolution has indeed altered adults and adolescent girls’ social identities and created a new social space mediated by smart phones. This change is common in Christian-dominant Southern Nigeria. Our study shows that under these circumstances, adults who can play a “midwifery role” in ushering girls into the digital age could achieve better results in ‘redeeming adolescent girls’ from irresponsible use than those who play resistant roles in restricting girls’ smart phone use. The peculiar role of smart phones in boyfriend-girlfriend relations is still evolving. What has become clear for many of our study participants, is that a new culture of juggling identities in this social space is here to stay. But for those participants who are not comfortable with the identity the digital revolution has assigned them, there is still much room for negotiation.